Or if you have a Truck or Minivan or Suv come and pickup equipment from us directly. Easy to Setup comes with a Blower Fan and Anchors. Take a look at the Dimensions below most customer don't realize how big the Princess Bounce House is until they see it fully inflated. More than 20 Feet Long and almost 16 feet wide. 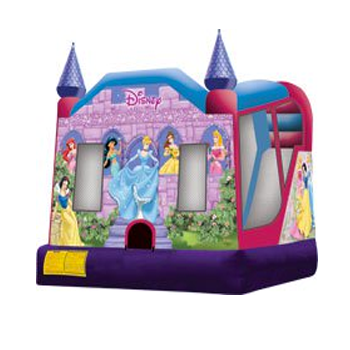 Disney Princess Birthday Party Bounce House, Slide This licensed Disney Princess C4 combo jumper brings the fairytale to life with digital printing fit for any princess or festivity. Approaching participants are greeted by Cinderella, Snow White, Sleeping Beauty, Belle, Jasmine and Ariel for enchanting fun and imaginative play! Ideal for any girly party or event, participants can ride a dry or wet slide or practice their royal proclamations inside this entertaining jumper! This licensed C4 combo jumper is part of a line of Disney Princess products, including large jumps and a 3D combo bounce house. This C4 bounce house combo offers up to four different activities for endless hours of activity. Each bouncy castle has a large interior jumping area and a basketball hoop for group interaction, and high-visibility mesh allows spectators to keep an eye on participants. The C4 jumper comes with a climb to conquer with a fun and fast slide, entertainment for even the most active child! 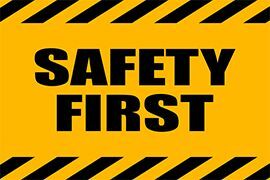 Each bouncy castle is manufactured with lite n strong™, fire resistant vinyl for safety, durability and portability for any indoor and outdoor party.